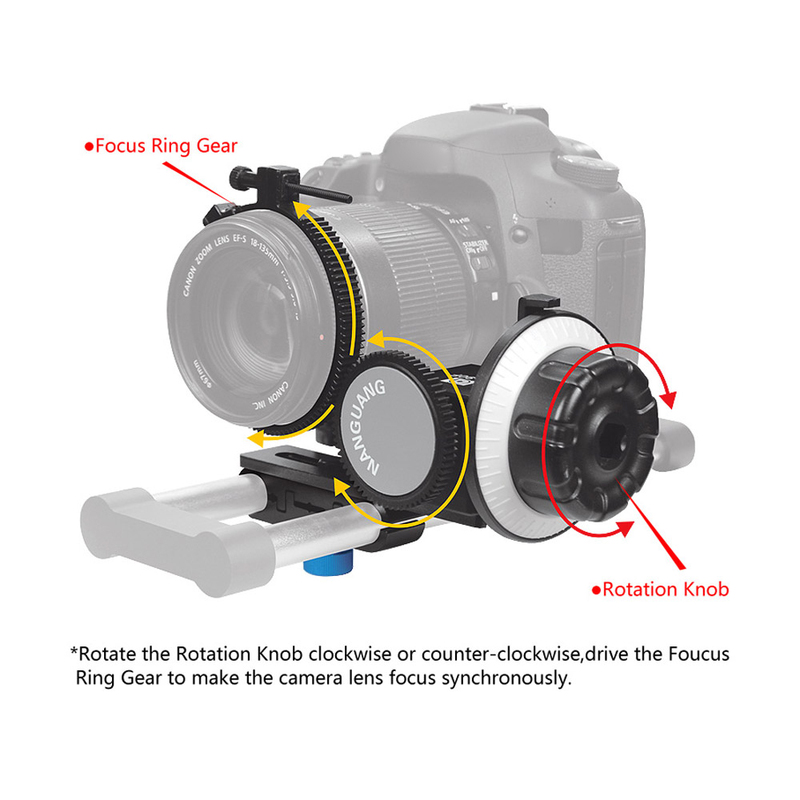 The follow focus finder can let you shoots precisely, focus precisely and operate smoothly in film shooting. 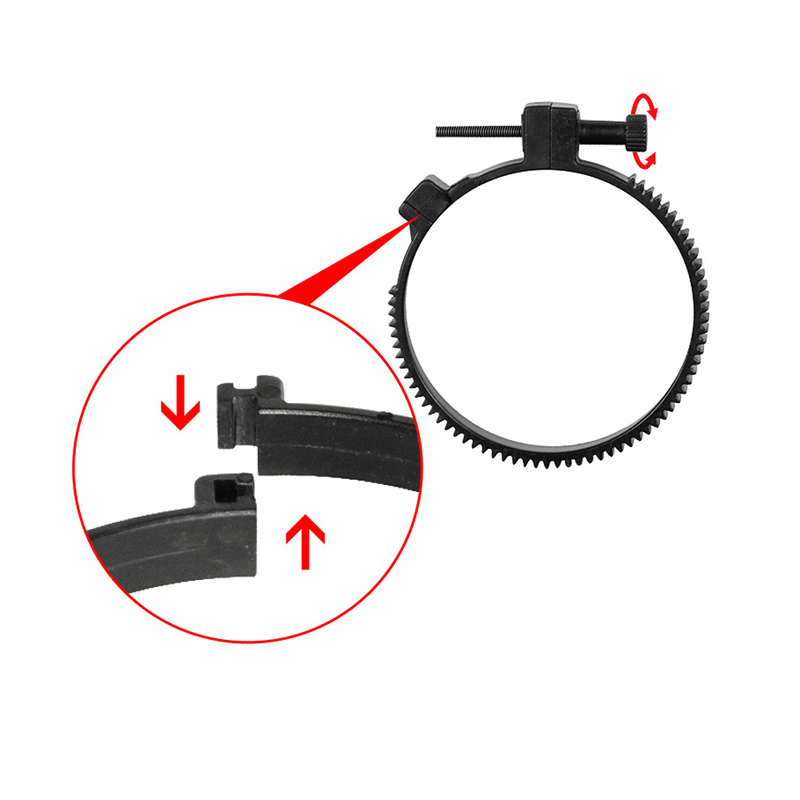 With a pair of stops on the ring for adjustable focus indication. Gear drive can be mounted from either side. Ring is adjustable and comes with extenders. Suitable for lenses diameter from 65 to 103mm. 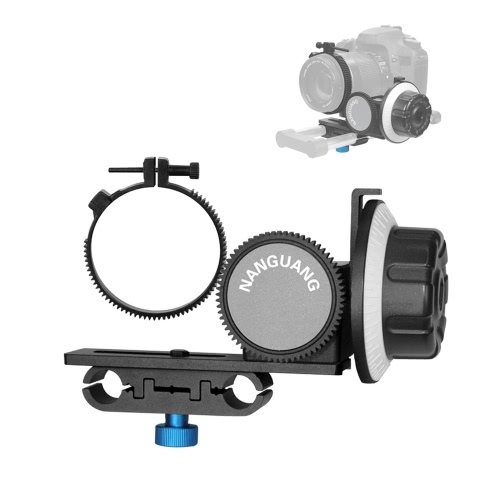 Adjustable locking system, Compatible with all DSLR cameras, video cameras, HDV, DV, specially for HDSLR camera with movie function.